First, a quick history lesson: "Cowichan" is a form of knitting developed in the early 19th century by the Cowichan tribespeople of Vancouver Island, British Columbia. 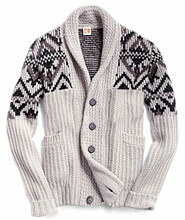 The sweaters, often shawl collar cardigans, have graphic patterns akin to Fair Isle, but are knit with only two or three colors. Often, they feature geometric bands, animals or tribal designs. 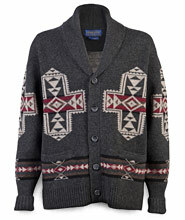 Native American prints have been everywhere over the last year, with no sign of abating anytime soon and one of these sweaters is the perfect way to incorporate the style into your wardrobe. 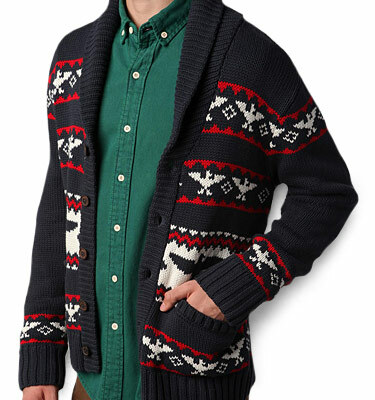 Yes, the patterns are bold, but the chunky knit of the sweaters make them feel a bit more like outerwear. And that makes it easier to pull them over your usual kit—from jeans and button-down to a T-shirt and beat up chinos. Keep the rest of your look simple and you're set. 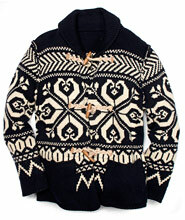 Pendleton actually sells a sweater modeled off the same one Jeff Bridges wore as "The Dude" in The Big Lebowski.